Adopting the new environmental criteria should make it easier to dedicate lanes for transit vehicles. Image: SFMTA. LOS often jammed up projects such as bike and transit lanes, which–arguably–reduce the number of cars that flow through a given area by taking lane space, but increase the number of people who can get from A to B. In short, the new rules, in the process of being adopted at the state level, make it so something as benign as a bike lane doesn’t trigger an expensive and time consuming environmental review. “This is exciting news for public transit in San Francisco. VMT is not only a better metric for assessing overall environmental impact of our streets, but it also clears the way to waste less time and money implementing great Transit First projects,” said Reed Martin, a member of the Executive Board of the San Francisco Transit Riders Union. “Van Ness BRT took an extra six years and almost $8 million just to study traffic impacts based on the car-biased LOS metric. This will go a long way towards “speeding up critically needed street projects to achieve Vision Zero, increasing our public resources by decreasing the time and staff needed for environmental review processes, and ensuring California’s goals to reduce greenhouse gas emissions and prioritize biking, walking, and transit as sustainable modes of transportation are met,” said Margaret McCarthy Interim Executive Director of the San Francisco Bicycle Coalition. Under previous environmental criteria, even painted bike lanes could trigger expensive and time consuming studies. 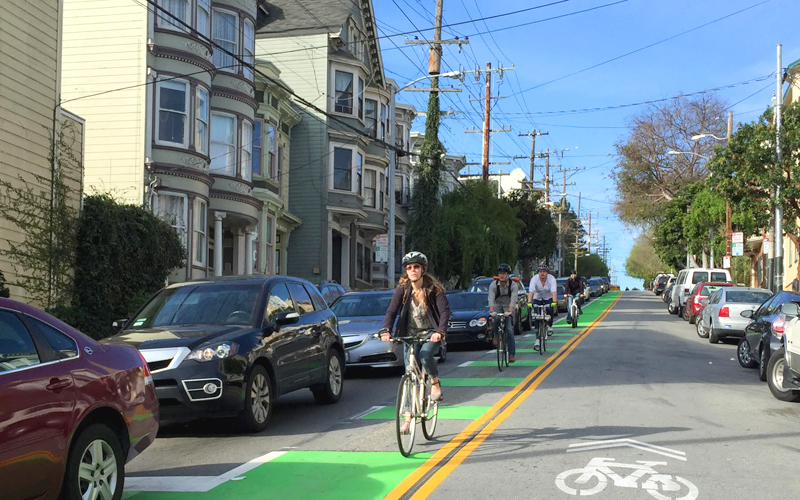 Photo: San Francisco Bicycle Coalition. Not only was the “Level of Service” criteria counterproductive in its own right, it formed the basis for anti-bike crusaders to sue the city. Back in 2008, they used LOS and California environmental law to force the production of over a thousand pages of environmental documents and reviews to prove that bike lanes are good for the environment. Cool graphics, thanks for sharing. Your 2nd-to-last graphic reminded me of a question I have, and I’m interested in your take. I’ve never liked the idea of slightly raised bike lanes, mainly because they provide a smoother ramp to enable a car to climb a curb during accidents, eliminating the protection a curb provides. (Not to mention they make it easier for cars to double-park in the lane, as opposed to a fully-elevated lane.) Why is having the half-raised bike lane preferable to a bike lane at sidewalk level, separated from the pedestrian space by (for exampe) a 2″ mini-curb or other minimalist separator? 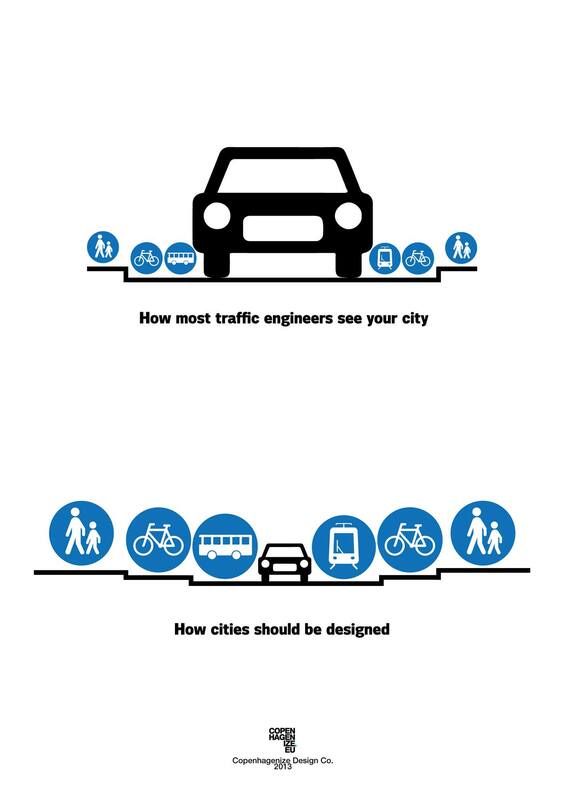 Of course the abstract graphic above isn’t likely referring just to raised bikeways but in terms of those you really have hit the nail on the head–just because a bikeway is raised doesn’t necessarily mean it’s better. Having lived in the Netherlands and visited Denmark it’s pretty apparent the typical Danish design often leaves much to be desired. Yup. Same old parked delivery truck problem that we have in SF. There is nothing angelic about Dutch or Danish people. Human nature is to respond to the built environment around you. 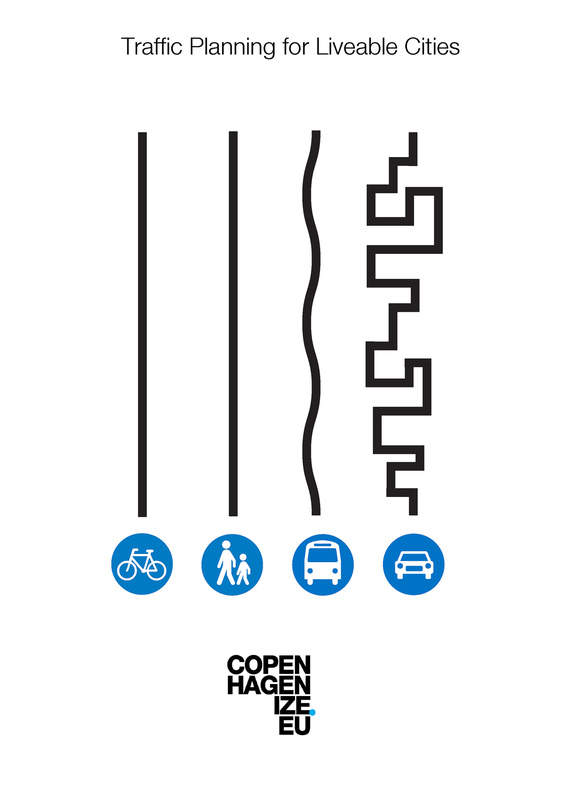 1) narrowing car lanes (the Copenhagen ones above could be narrowed–notice how wide the lane is compared to the truck in the background) to create the space for a small physical barrier between the car lane and raised bikeway. 2) reducing car lanes (even if this means it’s only a 1-way 1-lane road for cars that remains) to create the space for physical bike lane barriers. Yet more factors that help? This is good news. One way to reduce VMT in San Francisco is to ensure that every neighborhood has basic services within that neighborhood. I hope that by paying attention to this metric the city will encourage/facilitate every neighborhood to have 1) a grocery store, 2) a pharmacy, 3) medical/dental clinics, 4) an elementary school that people feel comfortable sending their children to, 5) a farmer’s market, 6) a public library, 7) a green space/park/access to nature, and 8) a community center where people can gather/have meetings, etc. So much for streetsblog bringing us breaking news. Edit: WHOOPS. I read the headline backwards! Sorry. Noe Valley is only allowed to have realtors, banks, and nail salons. Ok, good to hear. It worries me to hear Bay Area planning departments tout their new raised bikeway design – as though it will magically improve things because – I suspect – it just seems vaguely European. I would love to see fully raised bike lanes, which would confer some measure of protection from cars without having to dedicate road width to barriers. But time after time, unprotected lanes are designed instead. Perhaps it’s a much bigger task, where it requires re-engineering storm drains. Silly, you can’t send your children to the neighborhood school . You have to send them to a school halfway across town because…equality! 2) the fact that there are lots of bad practices in Europe, too. Europe’s a big place. Compared to the Netherlands they have lower bike modeshare and higher injuries per capita to show for it, too. 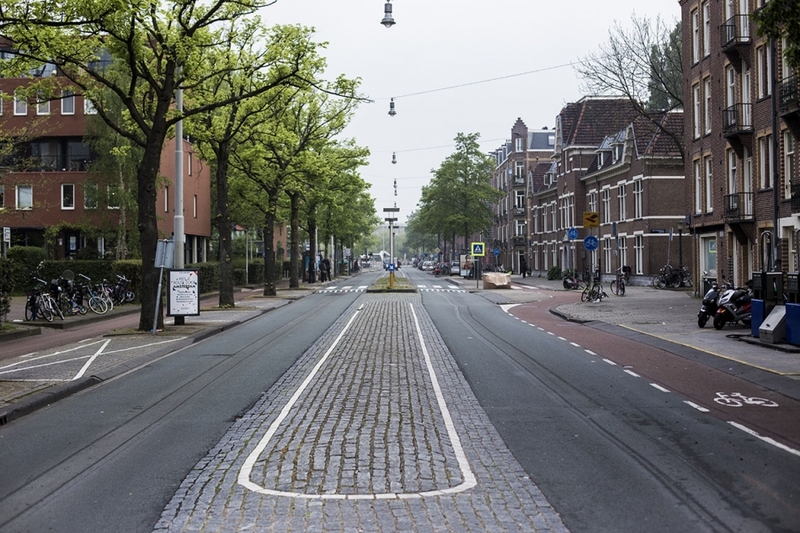 That being said, having lived in the Netherlands I’ve even come across the odd archaic bikeway designs there which they’d never implement today (such as bike boxes) and even those rare outliers are steadily being upgraded. If you look hard enough a few are still around. Yet just because they’re in the Netherlands doesn’t mean they’re awesome. The laws of physics and human nature tend to be pretty constant around the world. Just because such infrastructure can be found in the Netherlands, that doesn’t mean it works any better here than it does elsewhere and it certainly doesn’t mean it should serve as an example to planners elsewhere. To achieve the best result, copy the best examples. The problem is in North America we’re too often not copying the best examples. Pretty sad actually. $78,000 to pour some concrete? A quarter $mil for a traffic signal, a slightly complicated lighting fixture. What the hell? 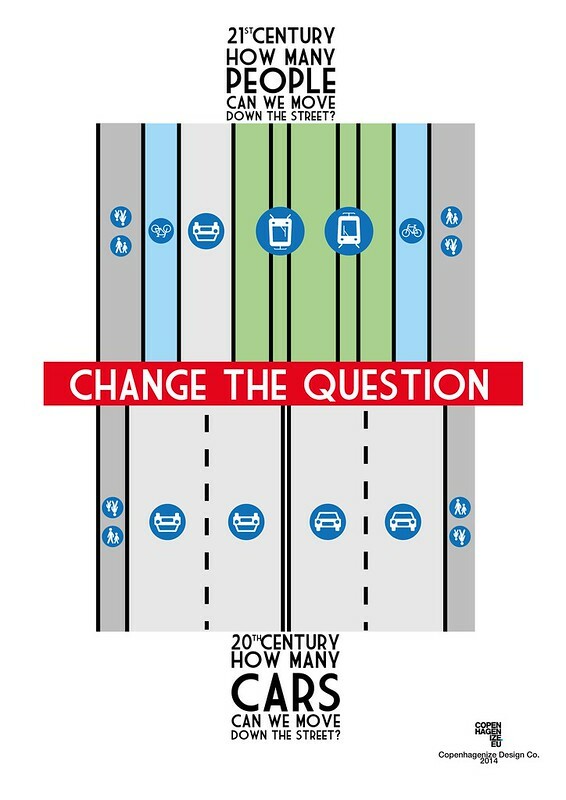 Are they replacing the goal of high LOS (for cars) with a goal of reducing VMT? If so, that seems very significant. the raised bikeway can be driven over by the huge american firetrucks. Other than that, they’re still useful for when you have to put a lot of emergency vehicles in a single area and just need some space. Also if the traffic lane is tight for traffic calming reasons, trucks might have issues making a curve. Of course, cyclists have the precendence on the lane and these should be edge cases. Are you referring to sidewalk-level bikeways, or the halfway-raised version? half-step raised version. It’s an hypotesis I make because I’ve read in other sites that firetruck requirements are what stop several towns from doing streets designed for their speed and destination instead of making them to highway standard and expecting people to go slow. First, bicycles are not vehicles in CA. So does this include bike traffic? Second, it clearly excludes pedestrian traffic. Third, counting a bus with 30 people the same as a private car carrying one is not consistent with the goals of moving people. It’s VMT, not PMT. Each vehicle counts once, not the number of occupants. This seems like at best an incremental change when what’s needed, especially after more than a decade of talking about this, is much more. But VMT measures just that. A development or transportation project will be measured, negatively, by the additional number of miles traveled by vehicles that it causes. A bike project would generate zero VMT, which is GOOD for the environmental review of the project. That bus carrying 30 people will be considered an impact only for the number of miles the bus travels, which is significantly less than if most of its occupants were driving their own cars. I think that federally funded projects will still need to use LOS as well, unfortunately. Apparently so. The article should be edited to make this explicit.